Submitted by ken on March 16, 2007 - 1:44pm. 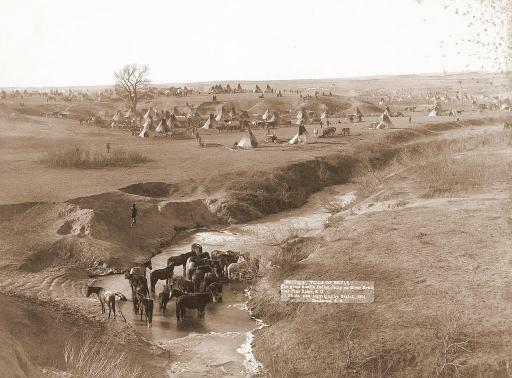 A Lakota Indian tipi camp in South Dakota in 1891. Horses get a drink at the White Clay Creek watering hole in foreground. Photographed by John C. H. Grabill.